After several more start ups, touch and go’s and a fair few bumpy landings I bring this review to the ground and will open up about the charms and well, the uglier side of things within Dovetail Games latest offering of Flight School. 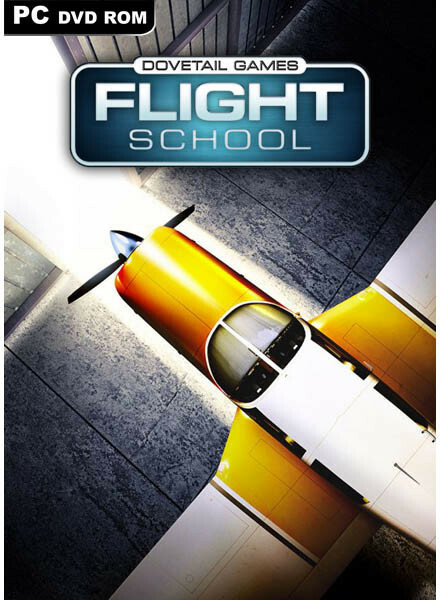 Flight School, for those not in the know, is a simulator built from the pre existing grounds of Microsoft’s Flight Sim X and as a result feels very familiar to those with experience within the flight sim genre, and this is where Flight School falls down. It does feel all too similar, and can honestly feel too easy at times and somewhat more like a game than being a fully fledged simulator, which is something that I have noticed within the critics of this genre. Bearing this in mind, Dovetail Games have actually built a very friendly and gentle introduction to those who have never thought about flight sim’s before and openly welcomes genre novices with an open cockpit and a friendly, helpful instructor patiently awaiting in a Piper Super Cub. There are only a handful of training missions within Flight School spread over the two current aircraft, but it helps those who have never found themselves within this genre get to grips with both the LAPL (Light Aircraft Pilot Licence) and PPL (Private Pilot Licence) licences. Or, if like myself you’d taken a break from the genre it can act as a handy refresher. These trainer missions cover a range of basic aircraft controls like the best speed for climbing, maintaining altitude and trimming off speed. Before you can take the in game tests for each licence you have to complete a set amount of time within free flight, which is a nice touch. 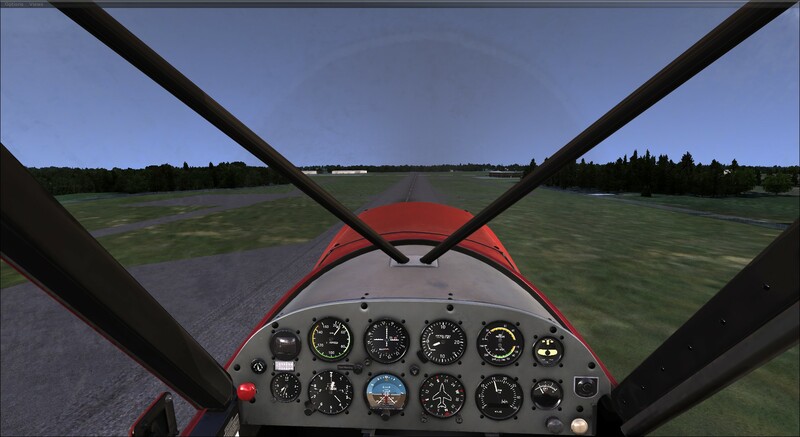 It actually encourages you to learn the practice of aviation and assists you in gaining knowledge of how each aircraft behaves, and most importantly how to achieve the perfect landing. Whilst engaged within each of the training sessions your instructor will be there to guide and react to the mistakes that you may make with reactive voice work. 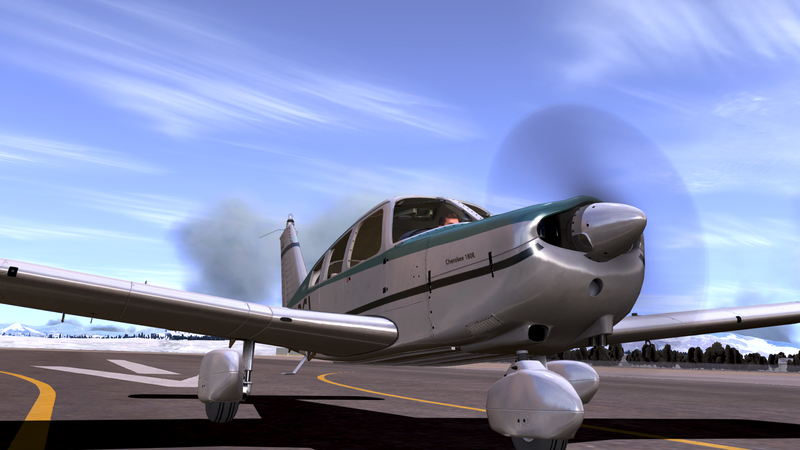 The issues that I had within the pre release have been ironed out and trimming the aircraft has become a much smoother experience with the pre release being difficult to maintain the perfect trim for stable and level flight. Being pushed into free flight before being able to undertake the final tests and before achieving the LAPL and PPL is rewarding not only for the experience of learning your craft and taking them to the skies, but for seeing your pilot’s logbook and flight time steadily rise which gives a real sense of accomplishment. 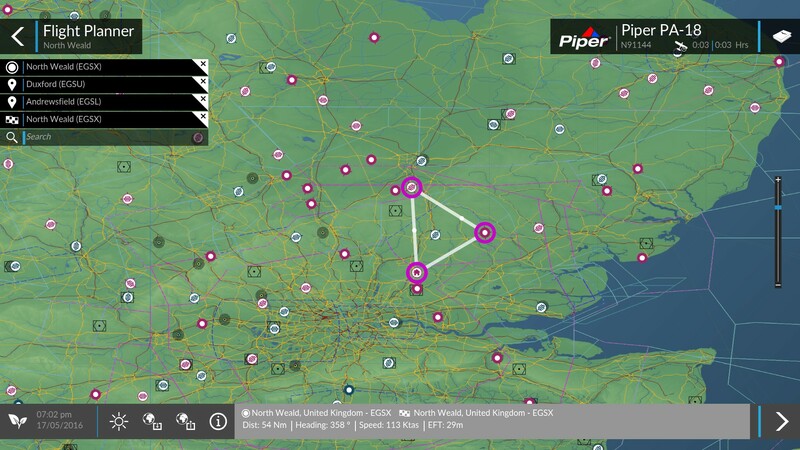 Alongside these training missions for both licence types Flight School includes a limited number of missions placing you within each aircraft in a variety of conditions such as engine failures, lack of fuel or just a long haul flight. Each scenario is fun and rewarding in its own way, it’s just a shame that the selection is so small and that the addition of dynamic weather within locations wasn’t included. Hopefully something that will be seen within Dovetail Games’ planned full simulator coming later within the year. There are a number of airfields available from all around the globe, and each free flight allows you to choose which airfield you wish to fly from, and also allows you to choose one as your home. As well as then being able to choose where you wish to fly around, it allows you to set the time and weather conditions, depending on how you wish to challenge yourself. Now this is where Flight School loses some of its charm and unfortunately begins to show some of its uglier sides. The first being that of the locations surrounding your aircraft. The graphics of the ground is particularly bad, pixelated and truly not the best visuals at all which comes as such a stark contrast of the beautifully modelled aircraft within the game. It’s a rather perplexing situation seeing your aircraft look so lovely from outside and then seeing a Minecraft esque built location below you. Noticeably this isn’t all too off-putting from higher altitudes but it is something that contradicts the quality in which the planes are modelled at lower altitudes. There are other issues found within Flight School where multi-monitor doesn’t actually work properly and only displays a black screen and full screen gave a hard time in actually maintaining full screen and would often cause the game to crash or just freeze. There were random occasions where I could be enjoying my flight and the game would just crash and be stuck in a strange loop of searching for the reason it had crashed. No other option than to just end Flight School from within task manager and force the games closure. It was going to be fairly obvious from the off that Flight School was going to feel very much alike FSX and it is something that I have noticed very much from the feedback from others who have seen this game as nothing but a simple copy and paste from FSX. This is hardly surprising since Dovetail Games are the owners of this very title and for a simulator with such critical response and praise Flight School could have not really have been built on a better base. For a game, and notice that I use the word game here, that has been built from such a base it is apparent that there have been vast improvements on the existing code giving a consistent frame rate to graphically improving the way in which the planes look and even weather effects make the game look drastically better than its predecessor. 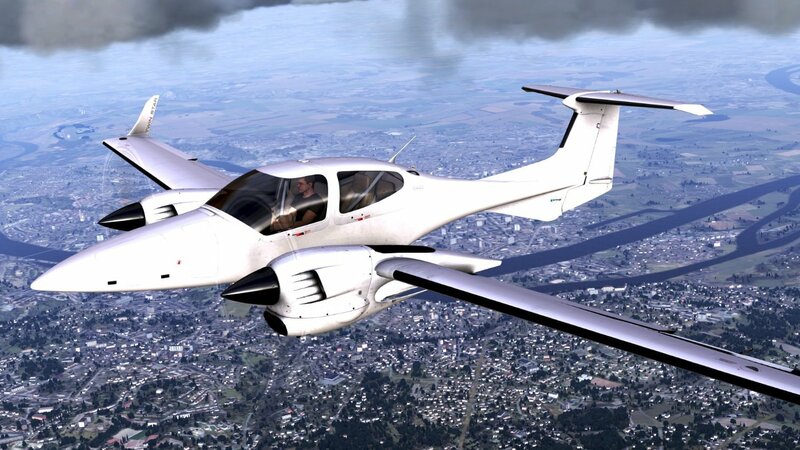 If you are a flight simulator novice I would definitely recommend this title to you, its pricing of £11.99 makes it the perfect entry-level flight game and introduction to our little genre before tackling bigger beasts like P3D, DCS World and should you wish to, FSX. However, if you’ve been in the holding pattern before, then this game is still a lovely little addition to your collection, just bare in mind that this IS going to feel like FSX, because at its core this game is built upon the success and mechanics of FSX. 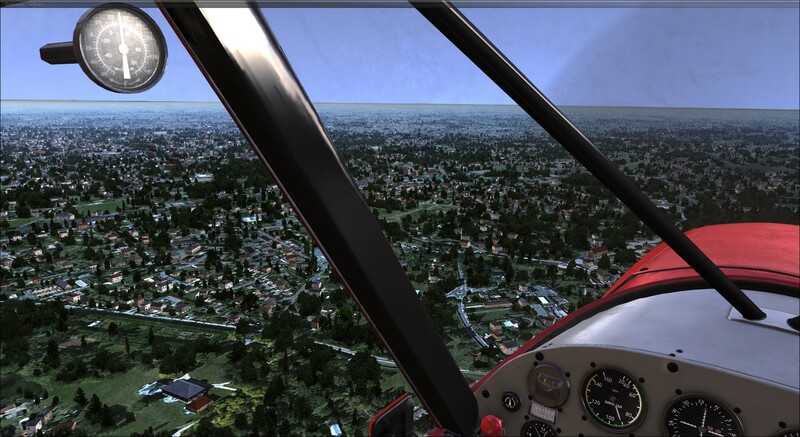 What Dovetails Games has done here is bring the flight sim genre to a forefront once again with Flight School and made what I can humbly call a great introduction to flight simulation. It’s not a full simulator by any stretch of the imagination, nor is it an arcade game. Flight School is happy to sit somewhere in the middle of being a game and a fully fledged simulator, leaning closer to being a game than a sim, but is enjoyable all the same and worth the casual hours that you’ll pour into it. The sky is waiting and there’s a Super Cub itching to take you there.